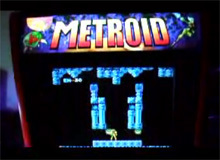 Check out this fan made Metroid arcade unit. Thought Metroid fans wouldn't mind another post. Click here if you don't see the video below. Complements of Engadget.